Welcome to Australia's Leading SEO Company and We are growing fast! Smart SEO's Search Engine Optimisation Services in Australia are like no other. Dedicated to achieving first page rankings, with an amazing team and dedicated analysts to your account, rankings will be achieved for any keyword. Our team of Analysts are trained heavily in the latest Google's algorithm and Internet Marketing methods and provide proven white-hat, ethical Techniques that will get your website ranking on the first page of Google in the quickest possible time-frame. If you are looking for a dependable, sustainable and ongoing online growth, then Smart SEO are the specialists to get in contact with! PPC Advertising using Google AdWords is one on Smart SEO's particular skills. Looking to expand your online advertising with Pay Per Click services. Our small management fee and no setup cost is something to be envious of. Drive optimised and targeted Google traffic to your website! Our Google Qualified team will provide a SEM (Search Engine Marketing) Service that will provide you with the best online advertising service in Australia. Take advantage of Google Maps and obtain a Google Business Listing with Smart SEO. With 12 month packages beginning at $350, it is cheaper then $1 per day! Sign up today! 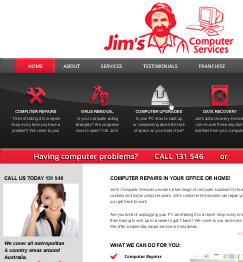 Google+ Pages are our speciality - so call 1300 641 849 today! Appearing on Google Maps and Google Places is something that is important for every business - why not take advantage of this? Get your Google+ Page optimised today with us. Try Facebook Advertising with Smart SEO. Expand your business online with the fastest growing Social Media Network in Facebook. Reach a new audience and target your advertisements with our trained PPC Experts. Looking for Facebook Advertising Services for your business? Our technology-savvy customers are always using Facebook and other Social Media - so why not connect with them right at their own level? Call us on 1300 641 849 and we can explain how! Looking for Social Media? Looking to expand your business on Facebook, Twitter, LinkedIn, YouTube, Flickr and more? Smart SEO can boost your online portfolio on every Social Network. Our Social Media Marketing Experts will help you reach your visitors on Twitter, Facebook, LinkedIn, Youtube and more. Call 1300 641 849 to connect to your visitors today! We house a number of dedicated Web Designers and Web Developers that will work with you to complete your site to the pinnacle of satisfaction. 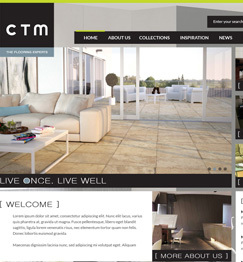 Our websites are designed and developed for conversions. 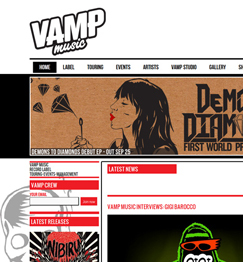 We don't want to just build you a great website, but we want you to recieve traffic and we want you to get phone calls! Our Web Design team is dedicated to getting your website and your business look great! 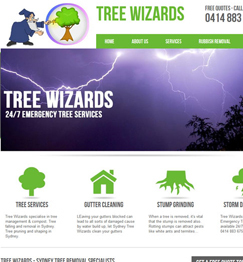 Call Smart SEO for a custom web quote today - 1300 641 849! Smart SEO has a Graphic Design team that is ready to provide you with anything "graphic" related. Logo Design, Print Design, Business Card Design, Corporate Identity are just a few of our Graphic Design services. Call us today to speak with someone from our Graphic Design department. Presenting your business is so important to our people feel about your business. Whether logo design or corporate identity - We will deliver with results! Smart SEO's Copywriting team will help you achieve the most for your website. Have content written professionaly, targeted to Google and conversions! Get professional content added to your site or blog and build strong in-bound links generated to achieve first page listing, as soon as possible. 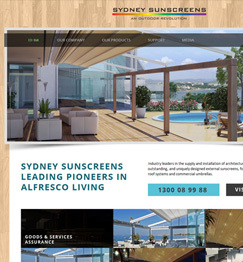 Smart SEO is a young, fresh and cutting-edge online advertising agency located in Sydney. Built on honesty and integrity, We aim to help their customers online - in ANY way. We are the specialists here to help your business! Established in 2011, Smart SEO is a fast-growing online marketing agency. With proven results and a fantastic young team, we are the people to trust with your online advertising needs. Our firm in Sydney is dedicated to providing a customised consultation for each of our clients. No SEO campaign is the same - every one is customised! Google values your social connections as an important factor of search. Our company will make sure that you become a trusted authority within your industry. Our specialists will make sure that your website is perfectly optimised for the search engines! An important part of SEO is link building. Our experts will make sure that we are building a strong and reputable brand for your business online and growing strong backlinks back to your website. Appearing locally in the search engines is a crucial factor to improving traffic and brand awareness. Our Sydney SEO Company can position you locally on Google Maps, Australian directories and improve your rankings for all areas that you service! Measuring your search engine optimisation results is incredibly important in deciding whether your firm is doing a good job with your business. Smart SEO seek to provide our customers with the perfect level of reporting that will not only identify the work that has been performed but also measure the traction we have made in your rankings and organic traffic. Smart SEO would like to introduce you to your future. You have the vision. We have the ability. Smart SEO is the nationwide leader in Search Engine Optimization (SEO) with proven results and industry wide recognition as the most innovative and results driven SEO Company in Sydney. Established in 2011 upon the idea that a changing business environment should not limit your opportunities for success, we have quickly risen to become the leading SEO in Sydney. The technological world is ever evolving and you need a young, capable and cutting edge company who has a deep understanding of your online needs as we live in your world. 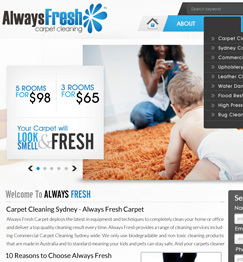 Based in Sydney we are the specialists when it comes to your online marketing and advertising needs. Smart SEO’s commitment to you is one backed by our honest, open and transparent process with the goal of achieving first page rankings across all search engine’s regardless of your keyword needs and through utilising all forms of social media we ensure your website a quick, stream-lined and reputation boosting position in the eye of the digital world. We realize the stark contrast between promoting your company through page boosting tactics that serve only to diminish your reputation and those methods based in ethical, white-hat procedures and it is this obligation, to promoting a viable and sustainable image of your business, which will result in stable and ongoing growth that will safeguard your future. Our knowledge of the latest trends and approaches to online advertising and marketing are constantly in flux because we realize an SEO Company that is stagnant in their approach to the digital world will be left behind. We are dedicated to cementing our growing reputation as the leading online agency in Australia through a range of services from Search Engine Optimization aid, Social Media Network direction, SEO Copywriting, Website Design and Development, Link building and much more. 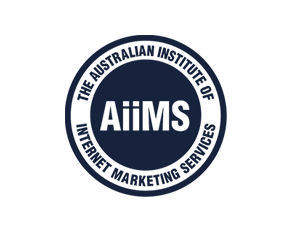 Our team of accredited and experience analysts maintain a personal and flexible approach when it comes to your business and with our extensive success, from small companies to multi-faceted big business, we have proven ourselves to be shining brightest in the SEO Australia industry. Check out some of the testimonials from clients whose expectations we have exceeded for more information. Our Mission is simple, grow your business. No jargon, no smoke and mirrors. The simple goal of seeing stable and continued success in your company will reflect positively on us and it is through this cohesion that we ensure your success. When you look to Smart SEO for your online marketing and website design needs you are gaining access to ongoing support that is friendly and reliable, it really is simple, we are here to help you. We’ve opened up, we’ve shared with you and now it’s your turn. Don’t settle for an SEO Company that isn’t giving you the attention and exposure you deserve. Take your digital presence and allow us to show you what happens when your potential meets the Smart SEO team. Turn your dreams into a reality. Call us today on 1300 641 849 or email us at info@smartseo.com.au. The digital age is here, it can be confusing, but with Smart SEO, it doesn’t have to be.